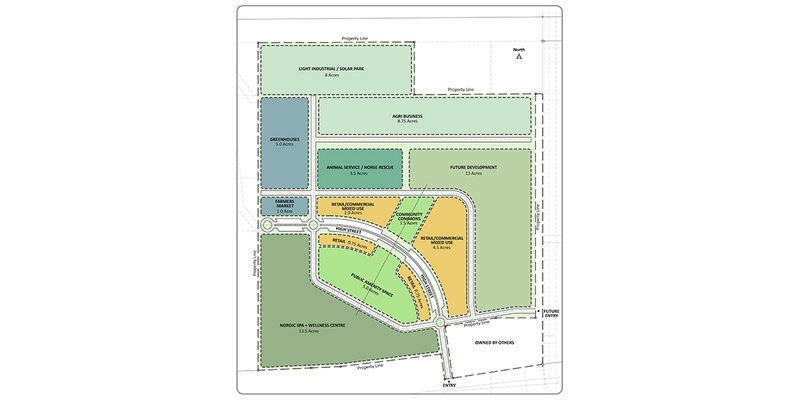 In collaboration with Evocative Developments SMM prepared Halsogarden; a visionary master plan to strategically implement a world class community within the Enoch Cree Nation. 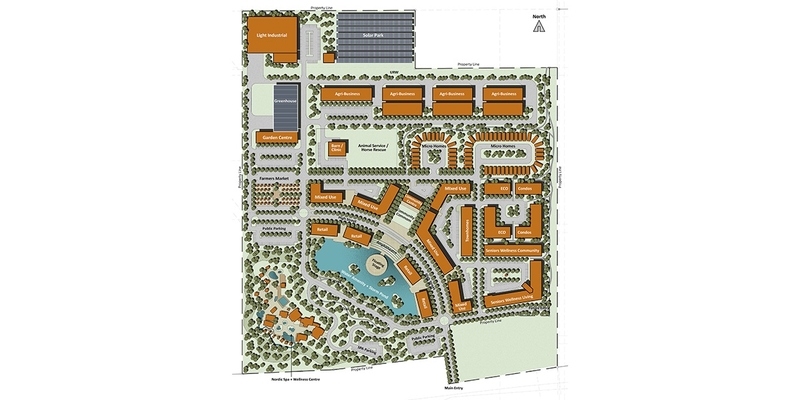 The master plan establishes a unique village community that respects tradition while providing a highly interactive and engaging mixed use community. Envisioned to encompass 70 acres of land the project includes both economic drivers and community based housing opportunities that can accommodate young and old to ensure youth and elder relationships and traditions are fostered while stimulating local employment and job opportunities. Health and wellness is also a key driver within the masterplan including the incorporation of a Spa and Wellness Centre that will reach out to the national and international tourism community seeking an authentic experience. Retail, market gardens, greenhouses, agri-business, light industrial and a solar park are envisioned to provide economic sustainability. The master plan is knit together with green corridors including walking paths and horse trails, and features a large open water pond that will manage the sites storm water while providing an amenity for the community to be used for passive recreation. The water amenity area also includes a floating stage and amphitheatre that can be programmed for large scale cultural events for the Nation.